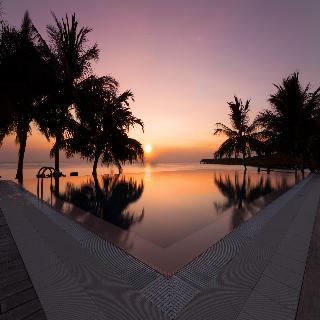 Situated on Nalaguraidhoo, regarded as the most beautiful island of the Ari Atoll in the Maldives, this beach hotel enjoys an idyllic setting immersed in natural tropical beauty. 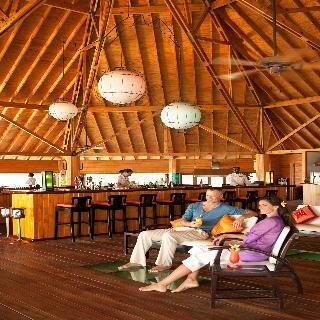 The Sun Island Resort & Spa offers guests a relaxing getaway with much to be discovered. Just 200 metres from the beach, visitors can explore the reef and its cacophony of vibrant colour and abundant sea life.Referred to as the most notable luxury resort in the Maldives the hotel exudes sheer beauty and elegance. Stretching out into the turquoise waters the stunning water bungalows offer guests the ultimate in serenity. There are also a choice of rooms and Suites which are decorated in an attractive minimalist design. Guests will be impressed by the array of first-class dining options and leisure options which set the hotel apart from the rest. Featuring a prime situation in North Male, this exclusive resort welcomes guests to a slice of tropical paradise on the island of Meerufenfushi. Surrounded by white sandy beaches, warm water in turquoise lagoons and swaying palm trees, it is certainly the resort for guests looking to kick off their shoes in a casual, relaxing atmosphere away from the stress of daily life. The stunning accommodation units range from the beautiful rooms to the exclusive villas featuring a tropical décor and a wide range of premium amenities to ensure visitors enjoy a perfect holiday experience. The onsite restaurants offer guests everything they want and provide a large variety of international and regional cuisines to suit all tastes and ages. Entertainment facilities include numerous water sports on the beach, whilst the spa area is a haven of peace and tranquillity. Situated in the southern part of Ari Atoll, this resort is situated on a small tropical island and is just 25 minutes from Male airport. The island is just 900 meters in length, 250 meters at its widest point, and houses luxurious villas and a stunning array of recreational and leisure facilities. 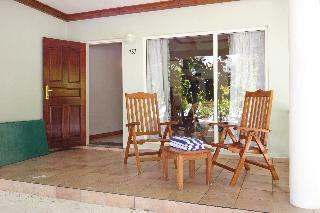 The resort's excellent accommodation ranges from standard rooms to superior villas. The resort also boasts a stunning natural reef that guests can explore, thanks to excellent diving facilities, a gymnasium, and tennis court. The hotel houses a great selection of restaurants and bars serving the freshest seafood and popular cocktails in a relaxed and tranquil setting. 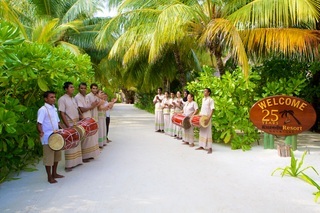 The resort is located in Lhaviyani Atoll on the Maldives. It is a paradise dream in real life, with more than 3 km of white beaches and aquamarine lagoons. 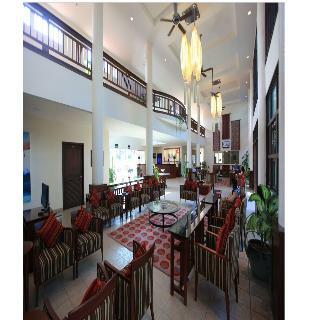 The resort is situated on the northern reef of the Lhaviyani Atoll, 130 km north of the international airport 'Hulhule'. The journey from the airport to the resort is done by seaplane. This resort features a golf course with a bar and a pro shop from which guests can rent or purchase golf clubs as well as other golf equipment. An outdoor pool with children's pool, massage treatments, water-skiing, jet-skiing, diving, sailing, tennis and gym facilities also feature. 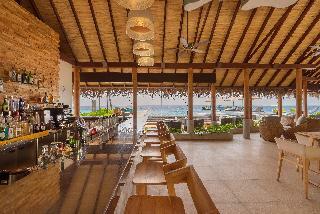 The resort offers three main restaurants and three à la carte restaurants. This club resort is truly the most romantic island in the world. It offers a unique concept, taking guests down memory lane, allowing them to re-enact those blissful moments. This spectacular resort is situated just a 20 minutes' speedboat ride from Male International Airport on the North Male Atoll. Ihuru is one of the most picturesque islands in the Indian Ocean, opening up a tropical paradise of palm-fringed, powder-white beaches, crystal-clear waters and intriguing house reefs. Guests will find themselves in the midst of seclusion, serenity and indescribable tropical splendour.This magnificent hotel allures guests with the ultimate in luxurious, tropical living, a world away from the routine of daily life. Guests will be left breathless by the resort's stunning design, which allows it to blend effortlessly with its intrinsically beautiful surroundings. Guests will be impressed by the hotel's first-class amenities and facilities, which have been designed with the utmost in comfort and convenience in mind. Located on the eastern fringe of Lhaviyani Atoll and just a 35 minute Seaplane ride away, Fushifaru Maldives is more than just a resort. It is a fusion of natural wonder all to itself. Fushifaru Thila, a protected marine reef and a renowned dive spot lies on one side of the island and a sand bank on the other. Fushifaru Maldives presents endless possibilities for fun, adventure, discovery and tranquillity all in one diverse landscape. Featuring 49 Villas on land and over water, this little island is surrounded by its own private lagoon. With 2 restaurants, a Pool Bar and dine anywhere options, Fushifaru offers international cusinie, Asian delicacies and the largest varieties of Seafood. Surrounded by 3 distinctive reefs within close proximity to one another only a few minutes away from the Island, Diving at Fushifaru is like no where else. Located in the North Malé Atoll in the Maldives, this heaven-like resort is the perfect venue for an unforgettable tropical vacation. Featuring overwater and beach bungalows with private pools, it treats its guests with everything they need to relax properly and have an amazing time. Each of the spacious units also come with private sundecks where they can perfect that healthy tan, while the en suite bathrooms include bathtubs for refreshing. For little pampering guests can head to the spa centre's underwater treatment rooms where a large variety of massages and other rejuvenating procedures await. The active types may enjoy a workout at the guy, while the yoga pavilion offers yoga practices throughout the day. Night fishing, Canoeing, diving and snorkelling are some of the other activities which the venue offers. The modern beach resort Paradise Island Resort & Spa revels in a stunning location along the famous kilometre long, 200-metre wide island of Lankanfinolhu. Located on the eastern edge of the northern Male Atoll in the Maldives guests will find themselves immersed in paradise, surrounded by tropical plants, palm trees, indescribably beaches and a beautiful lagoon. Lying just 300 metres away the local reef is just waiting to be explored whilst the outer reef for the more confident diver is 10 minutes away. Exuding harmony and intrinsic beauty the location is ideal for guests who are looking for an extra special break.The untouched beauty of the area is contrasted with the endless array of first-class facilities and amenities the resort has to offer. Guests can enjoy various water sport activities or take advantage of the excursions on offer. For those looking for a more relaxing break, rejuvenation is waiting to be experienced in the Spa. 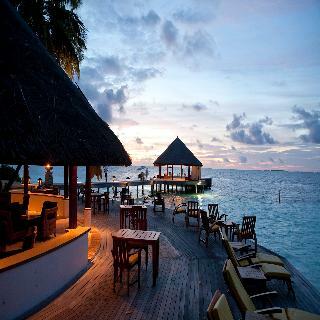 The Republic of Maldives is a country located in South Asia, in the Indian Ocean, south-west of India and Sri Lanka. This amazing place features 1196 islets that enjoy a pleasant tropical climate. If what you want is peace and quiet, this is your destination. Malé, the capital of this beautiful country, is a town with many high spots like the Grand Friday Mosque (Masjid-al Sultan Mohammed Thakurufaanu-al Azam) and the President's Palace, home to current President, Maumoon Abdul Gayoom. A stroll through Malé's fruit and fish markets, full of flavours and colours, is a real joy. Visit Baa Atoll, where you can buy some crafts that make gorgeous souvenirs. Because of its long, impressive coastline and clear, blue waters, water sports are highly popular. The Maldives is the perfect destination to go snorkelling and scuba diving while you appreciate the rich sea life. There are boats with glass floors that take you to the reefs, so that you can enjoy the exuberant sea world of the place. The Maldives are a true paradise. Do not miss them!